In a shallow bowl, combine the first 3 ingredients.. Place the stuffing mix in another bowl. Dip fillets in salad dressing mix, then into stuffing. Place on a greased baking sheet. Bake at 425-F for 15-20 minutes or until fish flakes easily with a fork. No chopping, slicing or saut�ing--this is simplicity at its best. Take five minutes to assemble this dish, put some rice on to steam, then go put your feet up and relax until the timer calls you to the table. Preheat the oven to 375�F. Rinse the cod in cold water and pat dry with paper towels. Arrange the fillets in a 2- to 3-quart baking pan or casserole, folding thin tail ends under to give the fillets even thickness. Pour the tomatoes and their juice over the fish. Sprinkle with capers and/or olives, followed by the Parmesan cheese. Place fish in a glass dish large enough to hold fillets in a single layer. Combine tequila, triple sec, lime juice, salt, garlic and 2 teaspoons oil; pour over fish, rubbing all over. Cover and marinate for 1 hour at room temperature or for 3 hours in the refrigerator, turning occasionally. Shortly before serving time, combine tomatoes, onions, chiles, cilantro, sugar and pepper to taste. Heat the grill to very hot. Remove fish from the marinade, reserving marinade. Pat dry. Cook on greased grill for about 4 minutes per side or until fish flesh is opaque. Meanwhile boil marinade in saucepan for about 2 minutes; remove and discard garlic cloves. Spoon a little of marinade over fish. Spoon tomato salsa alongside. May also use red snapper, grouper or sea trout. 1. Heat oil in a large nonstick skillet over medium heat. Add onion and garlic, saute 7 minutes or until tender. Add peppers and tomatos; cook over medium-high heat 3 minutes. Add fish; sprinkle with garlic powder and pepper. Cover and reduce heat, simmer 5 minutes. 2. Turn fish over. Cover and simmer an additional 5 minutes or until fish flakes with a fork. Transfer to individual serving plates, reserving cooking sauce in skillet. Keep fish warm. 3. Place skillet with cooking sauce over medium-high heat, and cook 3 minutes or until thickened. Serve sauce over fish. Saut�ing is one of the most popular methods for cooking thin fillets, and no wonder--it is quick and easy. Once the fish cooks, make a quick sauce in the same pan. Rinse the fish and pat dry. Put the flour on a plate and season it with salt and pepper. Dredge the fillets in the flour, patting to remove excess. In a small bowl, combine the garlic, wine, lime juice and butter, then set aside. Heat the oil in a 10- to 12-inch frying pan over medium-high heat. Add the fillets without overlapping (you may need to cook in 2 batches). Cook until golden on the bottom, about 3 minutes. Turn the fillets over and cook until opaque through the thickest part, 1 to 2 minutes more. Transfer the fish to a platter and keep warm (cover with foil or place in a 200�F oven). Add the wine mixture to pan and boil, scraping up cooked bits, until reduced by half, 2 to 3 minutes. Stir in the onions and heat on low about 30 seconds. Pour the sauce over the fish and serve. Prep: 10 min, Cook: 5 min. Turn on broiler. Combine first 4 ingredients in a bowl. Mix thoroughly. Arrange fish on a lightly oiled broiler pan and spread half the glaze mixture on top. Broil 3-4 inches from heat source 3-4 minutes or until browned. Carefully turn fish using a wide spatula. Spread remaining glaze mixture over fish. Broil another 3 minutes, until bubbly and browned. Do not let burn. Serve fish garnished with cilantro. Prep: 10 min, Cook: 30 min. Preheat oven to 375�F. Place spinach in a heavy nonstick skillet over medium high heat. Cover and cook 4-5 minutes, stirring occasionally, or until spinach is wilted and tender. Transfer to a colander. Press out excess liquid. Chop spinach and return to skillet over medium heat. Add next 5 ingredients and salt and pepper to taste. Simmer 10-12 minutes, stirring frequently, or until cream cheese is melted and mixture is hot. Arrange fish fillets in a baking dish. Season with tarragon, salt and pepper to taste. Bake 12-15 minutes or until fish flakes easily. Serve spinach sauce over fish fillets. Mix first 4 ingredients in a shallow pan. Dip fillets into milk, then coat them with crumb mixture. Place fillets on a lightly oiled baking sheet. Bake about 8 minutes, or until coating is browned and crispy and fish flakes easily with a fork. Prep: 10 min, Marinate: 10 min, Cook: 15 min. Preheat oven to 400�F. Place oil in a non-reactive baking dish. 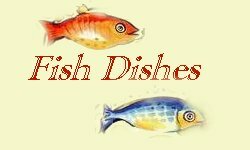 Arrange fish fillets in dish. Drizzle with orange and lemon juice. Season with pepper to taste. Marinate 10-15 minutes, turning once. Bake fish 12-15 minutes or until fish flakes easily. Transfer fish fillets to a platter, cover and keep warm. Pour juice from baking dish into a heavy saucepan. In a small bowl dissolve cornstarch in water. Stir into fish juices. Add orange marmalade and lemon zest. Stir over medium high heat 3-4 minutes or until sauce thickens. Grill over hot coals 5 minutes on each side or until fish flakes easily when tested with a fork.